Home / Bob Turner / Brooklyn / Brooklyn GOP / Brooklyn GOP Radio / Brooklyn YRs / People's Republic of New York / Russell Gallo / Steven Cymbrowitz / CONGRESSMAN BOB TURNER ENDORSES RUSSELL GALLO FOR STATE ASSEMBLY! CONGRESSMAN BOB TURNER ENDORSES RUSSELL GALLO FOR STATE ASSEMBLY! 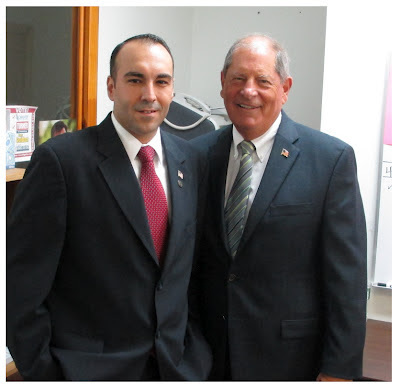 BROOKLYN, NY – Congressman Bob Turner (R-Brooklyn) proudly announced today that he is endorsing Russell Gallo, the Republican and Conservative candidate for State Assembly in the 45th District in Brooklyn. In both 2010 against then-Congressman Anthony Weiner and in 2011 against Assemblyman David Weprin, Congressman Bob Turner won in those sections of the 45th Assembly District that overlapped with his Congressional district. In 2011, Russell Gallo was the Brooklyn volunteer coordinator for Congressman Turner’s successful Special Election campaign that saw Turner become the first Republican to hold the seat in over 80 years.